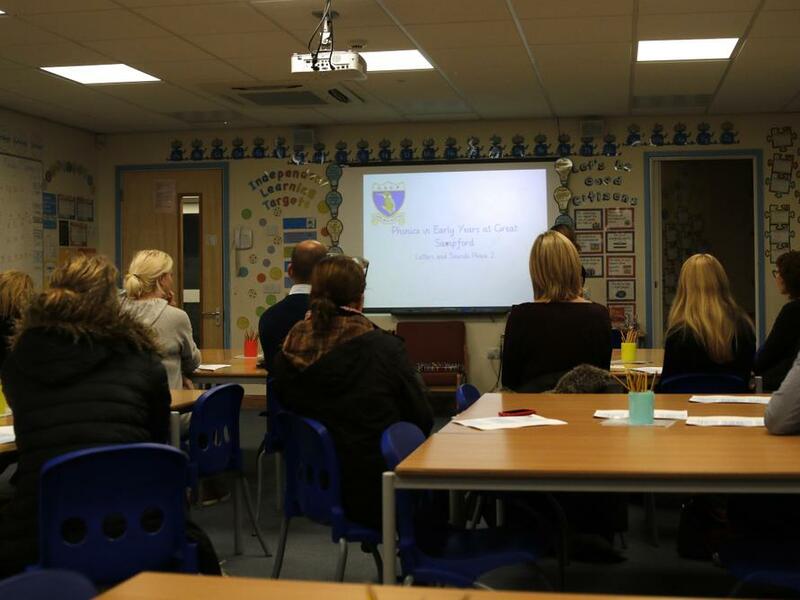 The purpose of the evening was to highlight how phonics is taught at Great Sampford and how parents can support their child’s learning most effectively at home. They explored Phase 2 of the Letters and Sounds program, having great fun practising the letter names, sounds and actions as well as developing their knowledge of segmenting and blending. Mrs Booth also talked about the high frequency and tricky words that their children will encounter as part of their learning. As part of a general discussion the importance of regular reading at home and of reinforcing correct letter formation and pencil grip was also emphasised. 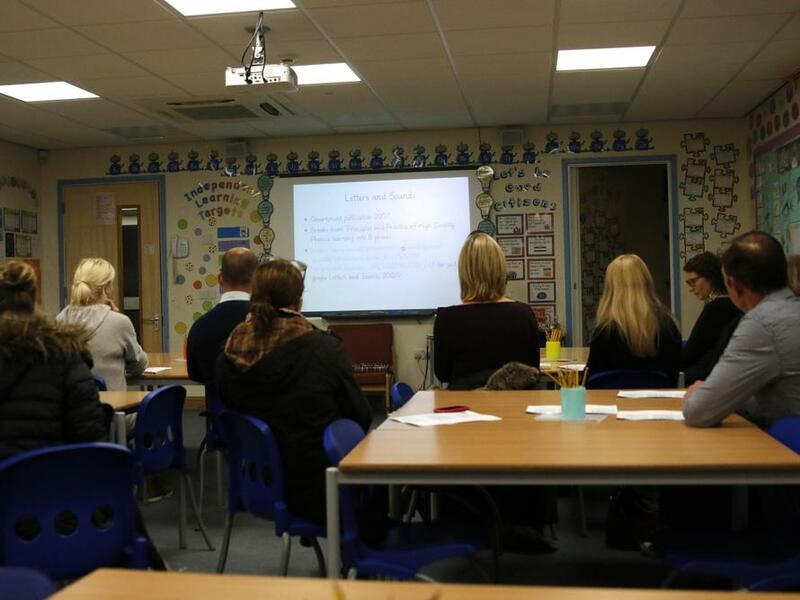 Both the parents and Mrs Booth found the session helpful and it was agreed that we will hold another session when the children move on to Phase 3 later on in the year.